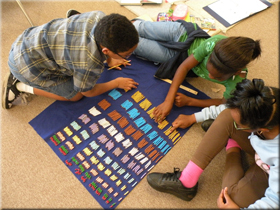 The curriculum in a Montessori environment is integrated and open-ended to permit each student to learn at his or her own pace and to explore areas of interest. 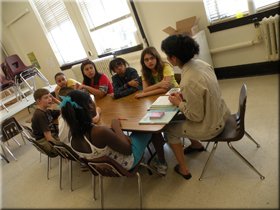 The school day is structured to enable the student to work in several of the curriculum areas. Practical Life can best be characterized as exercises in daily living. Using the child’s natural desires, exercises are structured for care of the environment, for care of self, and for basic lessons in grace and courtesy. It is through these activities in the practical life area that the child develops order, concentration, coordination, independence, and self-confidence. Engaging in these activities enables the child to become more aware of details and to begin to develop good work habits. Exercises in the Sensorial area allow the child freedom for spontaneous discoveries as he concentrates on the training of his senses. 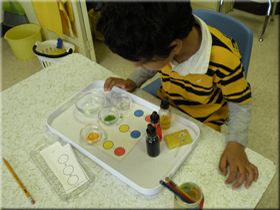 The materials increase the child’s ability to perceive, categorize, and understand impressions of his world. 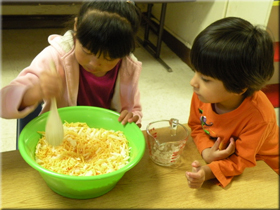 These materials enable the child to refine discriminatory skills regarding form, size, color, weight, taste, texture, temperature, and sound. 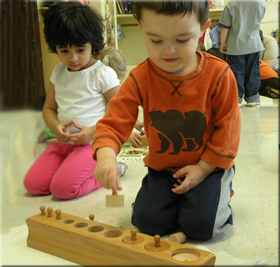 Mathematics in the Montessori environment begins with exercises using concrete material. The child associates the quantity to the number symbol by holding the quantity in his hand. Manipulation of the concrete materials in all facets of mathematics enables the child to gain an understanding of mathematical operations and processes. The child is able to work at his own pace to fully utilize concrete material to understand abstract concepts. 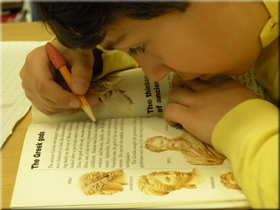 Vocabulary enrichment, self-expression, and auditory development are integral parts of the Language Arts area. Curricular activities demonstrate a true phonetic approach to reading. Manipulative exercises with concrete materials expose the child to key sounds, composition, penmanship, grammar, and word studies. 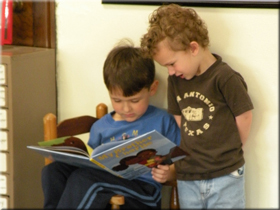 The goal of the language arts area is to open the entire world, with all its possibilities, to the child who has mastered reading, no matter at what age. Geography provides the child with a perspective of the world and its countries. 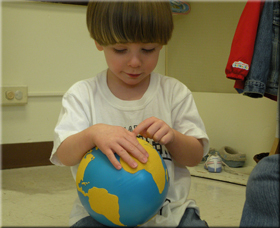 Globes and puzzle maps enable the child to explore the world, continents, and countries. Areas in the world are presented to the child by comparing basic needs and similarities. The child is exposed to a country’s customs, clothing, food, and shelter. Types of vegetation, animal life, soil, and climates of countries are also introduced. 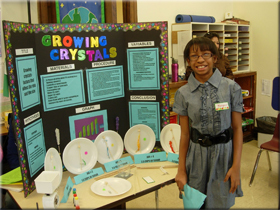 Science includes general science, botany, and zoology. The child is encouraged to analyze and to become more aware of the natural world around him through identification, classification, and experimentation. Art gives the child an opportunity to express himself creatively. Throughout the school year, various media is presented to give the child a free choice in his exploration of style and form. History is studied as the story of our common heritage as members of the human family. The study of history helps students to develop a perspective and understanding of global cultures. 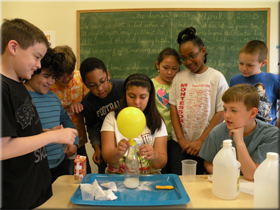 The goal is to help the students realize their importance in the world-wide community. Music stresses exploration of rhythm, sound, and pitch through movement, singing, and the use of instruments and recordings. 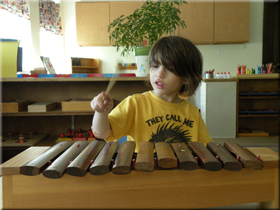 The child experiences music as both participant and audience. 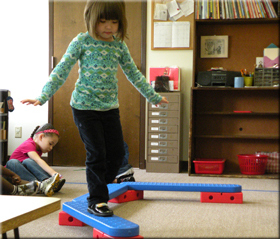 Motor development offers exercises in small muscle coordination, as well as gross motor activities. The weekly physical education activities for our elementary students are designed to stimulate interest in activities that last a lifetime. MCS provides Spanish instruction for our kindergarten and elementary students.